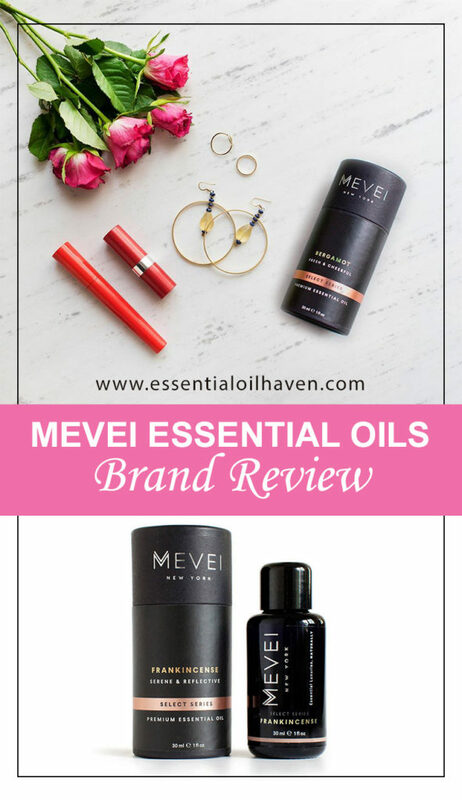 MEVEI essential oils is a pioneering luxury brand that focuses the use of essential oils not only on aromatherapy, but mainly also on the many beauty benefits that these oils offer. MEVEI oils are designed and crafted to bring a luxurious sensual experience to your lifestyle. They are created to inspire, and to deliver a touch of glamour and sophistication to your everyday beauty routine. The MEVEI experience starts with an incredibly fine selection of botanical ingredients, sourced from sustainable farms that extract pure beauty from mother earth according to exacting standards. Company culture includes going the extra mile when it comes to finding the very best ingredients – Lavender from a gorgeous speck of a town in southern France, the finest Bergamot from the Calabria region in Italy. These high standards continue with luxurious packaging and a sensual look of the product that deserves a spot on your dresser rather than in your medicine cabinet. MEVEI products are targeted towards highly discerning customers, beauty enthusiasts and passionate creators with an active lifestyle that want no compromises. Unmistakably elegant and glamorous, the MEVEI experience awaits you. MEVEI is a company based out of New Jersey, established in 2016. Rupinder Mangat is the founder of MEVEI. She is a mother of 2 young kids, and also an avid essential oil enthusiast. She has grown up using essential oils as an essential part of her daily routine. What is the MEVEI difference? 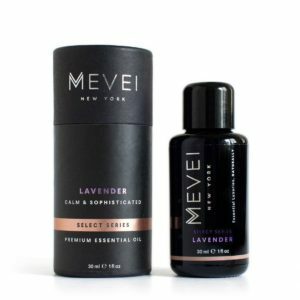 MEVEI’s mission is to challenge the established benchmarks by which most consumers compare essential oils and to cut through all the misleading marketing hype to offer essential oils for what they truly are: sensuous, glamorous, indulgent and an essential component in every women’s beauty arsenal for an active lifestyle. 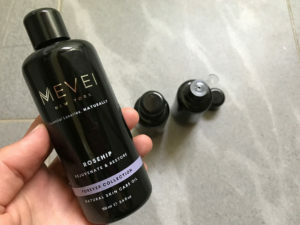 MEVEI is trying to change the perception of essential oils from a medical product to an essential and aspirational personal care product critical to your daily beauty regimen. MEVEI products conform to the specified ranges of the ISO quality standards, the only independent autonomous organization that provides guidelines for sampling, testing, packaging, conditioning, storage, labeling and quality standards for individual oils, as well as to ensure they remain protected against any contamination. The ancient civilizations had long ago perfected the art and science of extracting and harnessing the natural benefits of the worlds most treasured botanical ingredients and MEVEI’s mission is to demystify those golden secrets; and to craft extraordinary products of sophistication as an unforgettable addition to your lifestyle. MEVEI all-natural products aim to inspire and deliver a touch of glamour to make your every day special. MEVEI offers a limited selection of products because of the time, effort and working capital it takes to assess, evaluate and select the suppliers of essential oils from their source. And the really real essential oils are expensive. MEVEI oils meet and exceed the ISO standards – the only independent autonomous organization that sets the quality standards for oils. MEVEI employs no creative marketing terms like “Certified Therapeutic Grade Oils’ to deceive the consumers. MEVEI essential oil ingredients come straight from nature, in their purest form. There are no artificial dyes, fragrances, preservatives, or anything synthetic in the oils. Oils are sourced from a global network of diligently handpicked farmers, who produce essential oil ingredients naturally and in a sustainable manner. MEVEI essential oils are derived from sustainably harvesting each species of natural botanicals, grown to their fullest potential, indigenously in their native regions where they thrive best and ensuring they deliver 100% pure and exceptional therapeutic properties. Products conform to the specified ranges of the ISO quality standards, the only independent autonomous organization that sets the quality standards for oils, and also remain protected against any contamination. MEVEI oils undergo testing at several points during the manufacturing, packaging, storage and distribution process to ensure that the individual properties conform to the specified ranges of the ISO quality standards and also remain protected against any contamination. ISO (International Organization for Standardization) is an independent, international standard standing organization headquartered in Geneva, Switzerland that promotes the development of standards in the areas of intellectual, scientific, technological and commercial activity. 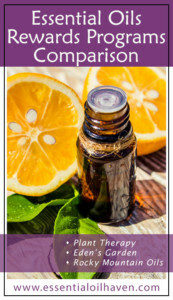 For essential oils, ISO provides guidelines for packaging, conditioning, storage, labeling, sampling, testing and quality standards for individual essential oils. Their in-house, and their independent 3rd party testing process includes refractive index, specific gravity, optical rotation, color, odor, gas chromatography, and mass spectrometry. This guarantees consistency and purity in products. Are These Oils Therapeutic Grade? Yes, of course! Let’s make something clear though – “Therapeutic Grade” and “Certified Pure Therapeutic Grade” (CPTG) are creative marketing terms employed by some companies to create a certain perception in the minds of unsuspecting consumers. There is no independent autonomous organization that either defines ‘Therapeutic Grade’ or certifies an essential oil as ‘Therapeutic Grade’. Anyone could very easily label their products as “Certified Ultra Therapeutic Grade”, but that again begs the question as to what is the definition of ‘Ultra’ versus ‘Regular’ and who actually ‘Certified’ it ? MEVEI does not believe in employing creative marketing terms to attract customers and rather lets their products’ quality and brands’ integrity speak for itself. You can close the essential oil dropper on a MEVEI bottle for maximum freshness of the oils. MEVEI has a signature patented violet glass bottle to store their essential oil products in. This packaging is in an exclusive and patented European violet glass and offers the greatest degree of protection from damaging UV rays. Timeless and protective qualities of violet glass are traceable back to the ancient Egyptian civilization, when valuable essences and healing elixirs were kept in gold and violet glass containers. The unparalleled quality of these bottles ensures freshness and gives MEVEI oils an extended lifespan. Like a fine wine, some oils like Patchouli and Vetiver, age gracefully when encased in violet glass walls. The elegant character of the MEVEI packaging also makes for a memorable gift or a splendid self indulgence. You can be sure to be treated like gold at MEVEI. Customer delight is their highest priority so you can be sure that your satisfaction is guaranteed. Return or exchange any product within 30 days of the date purchased, and MEVEI even covers your return shipping costs. No questions asked. Read more about the 100% Satisfaction Guarantee here. 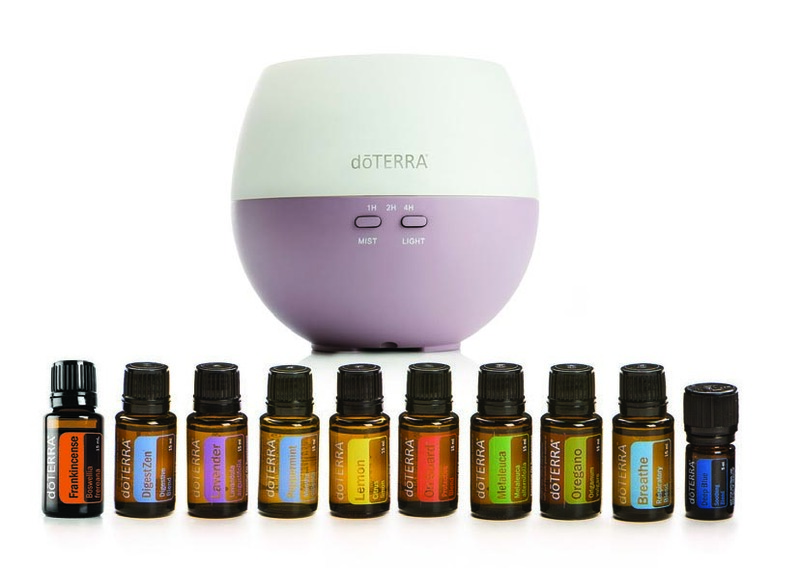 SELECT Series – these are single essential oils. It is noteworthy that all of their bottles are 30 ml in size, no 5 ml, 10 ml, or 15 ml bottles like other brands offer. Keep this in mind if you’re shopping and comparing prices. 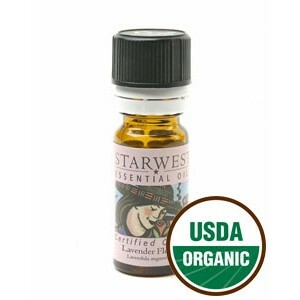 For example, Lavender Essential Oil is $39.99 for 30 ml. To make things easy, I have created a oil price comparison chart where I calculate all prices into 10 ml pricing, so that you can easily compare apples to apples. SIGNATURE Series – these are their blends. FOREVER Collection – these are carrier oils, massage oils, and other skin care products. The products I have tested (Ylang ylang, Zen blend, and Rosehip Carrier Oil) are of absolute finest quality. 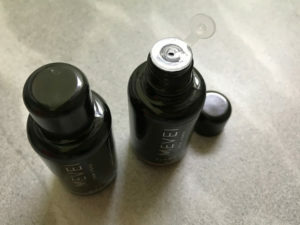 I definitely appreciate the patented bottle, which has a special essential oil dropper closure that you can re-seal after every use, which definitely helps ensure maximum freshness of the oil. The packaging is also extremely nice and super classy. I’ve found myself always putting back the oil glass into the cardboard box, just because it feels soooo luxurious when I take the bottle out again. It perfectly puts me in the mood to do something good for myself, enjoy some time for myself, and indulge in some wellness. As a new mom, I don’t have very much time for myself these days. However, using the MEVEI oils lets me feel like a princess again – even if just for a short moment of time each day. I really love these oils! MEVEI is a true luxury brand of essential oils and natural skin care products. When it comes to luxury, being unique is what counts, not any comparison with others. The MEVEI products highlight the naturally beautifying properties of essential oils and carrier oils – with the end result being a pure, authentically luxurious, natural beauty experience. 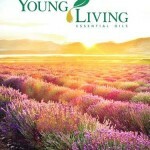 Certainly, this brand is targeted at women, but any fellow women, mother, grandmother, aunt, sister, friend, or co-worker will agree with me that when you get these essential oil products in the mail, you will feel that it is treat day just for you, and you’ll feel indulged in beauty and health.